This lovingly maintained townhome offers space, charm and upgrades today's buyers are looking for. 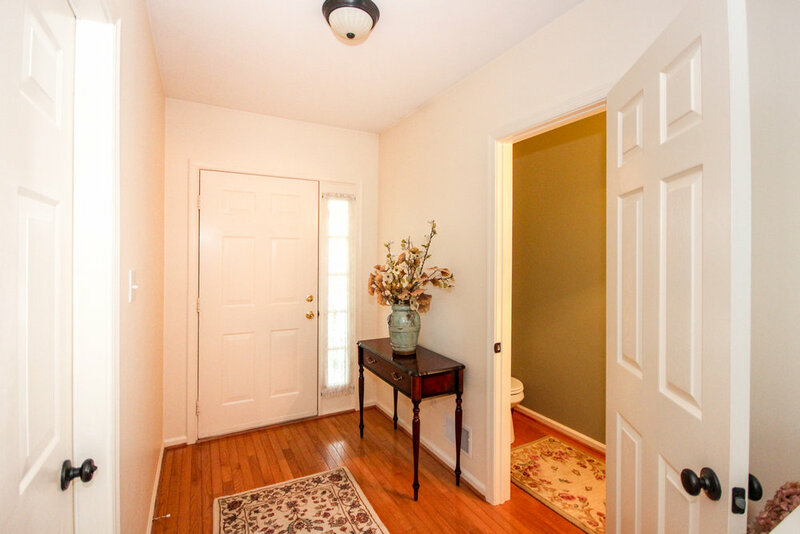 A quaint covered front porch welcomes you in the front door to a spacious foyer. The gorgeous open floor plan flows the length of the house and creates a wonderful entertaining atmosphere. 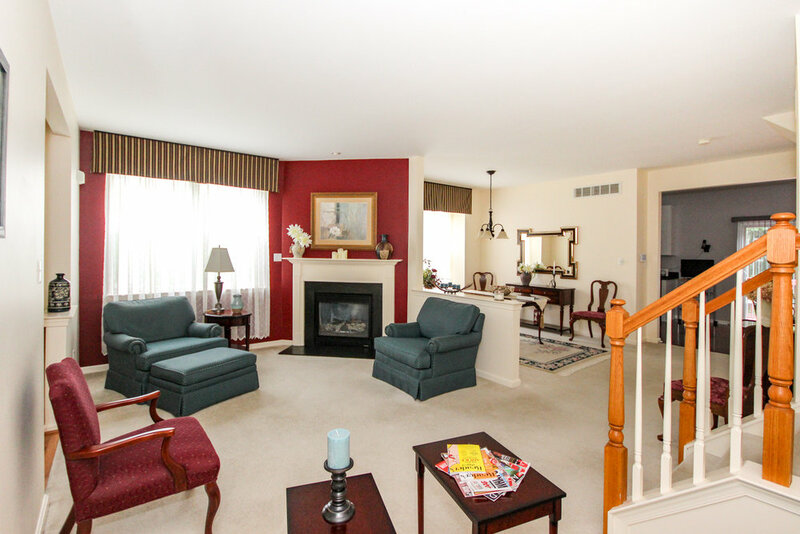 The living and dining rooms are warmed with plush carpet, tons of natural light and a gas fireplace. 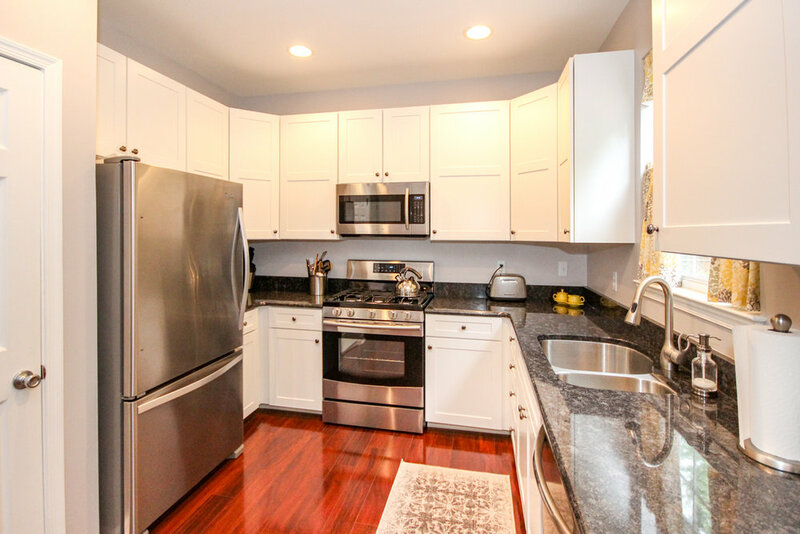 The newly remodeled eat in kitchen is highlighted with stainless steel appliances, a 5 burner gas range, bright cabinetry, a large pantry and granite counters. 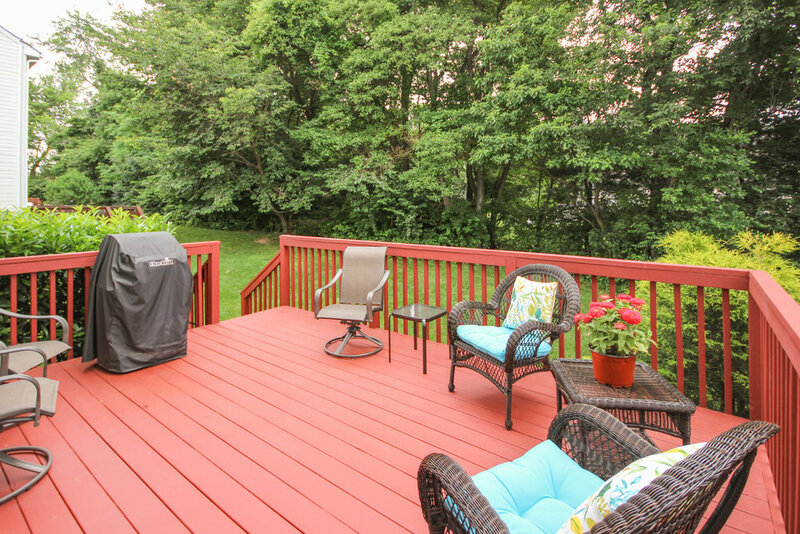 Access the back deck through the sliders off the kitchen and enjoy a relaxing evening or the ease of indoor/outdoor entertaining. 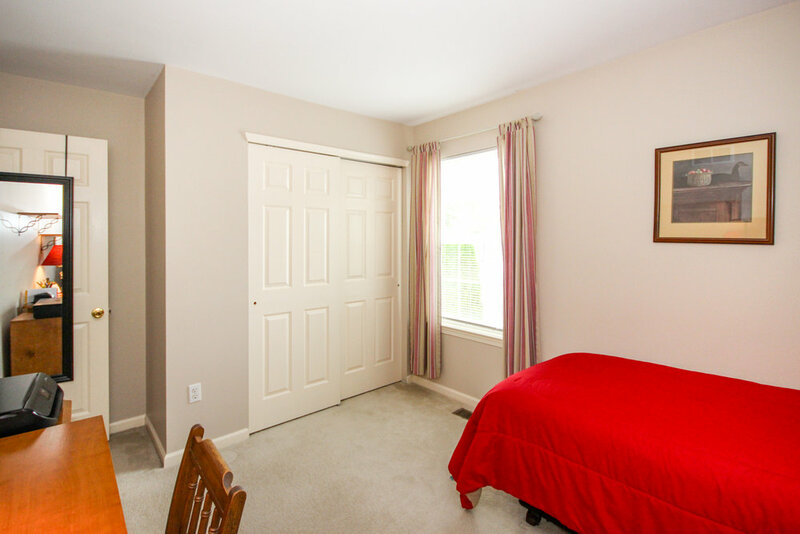 A generous coat closet, half bath and access to the one car garage and basement complete this floor. Upstairs you will find three bedrooms, all featuring wall to wall carpet and drenched in natural light. The large master is a special oasis with vaulted ceilings, his/her closets and a beautifully remodeled bathroom. 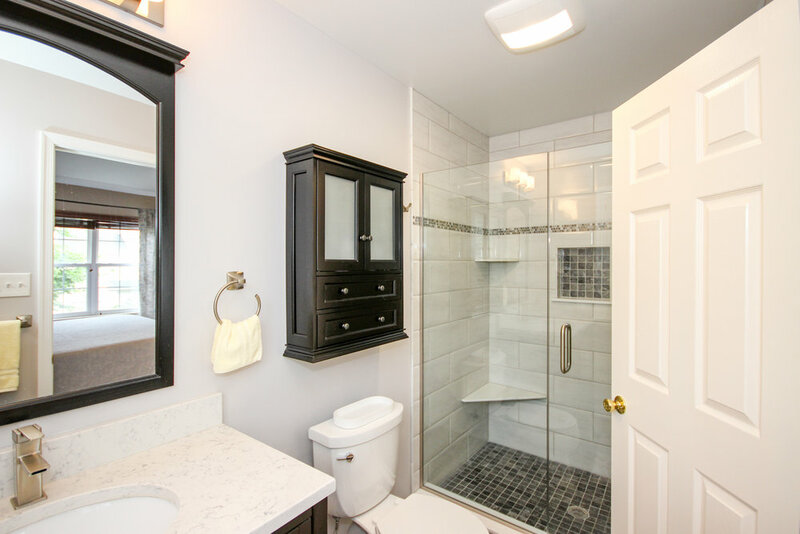 The ensuite is highlighted with upgrades such as heated flooring, a glass surround tile shower, custom shutters and gorgeous tile floor. A linen closet and full hall bath finish this level. The incredible fully finished basement offers plenty of additional living space creating the perfect family area or private retreat. This level features wall to wall carpet, recessed lighting, two large custom built ins and a spacious laundry room. The yard is simply beautiful with lush trees, plants and bushes that the HOA maintains and cares for, including mowing the grass. New AC/heating unit with smart thermostat installed 2017. 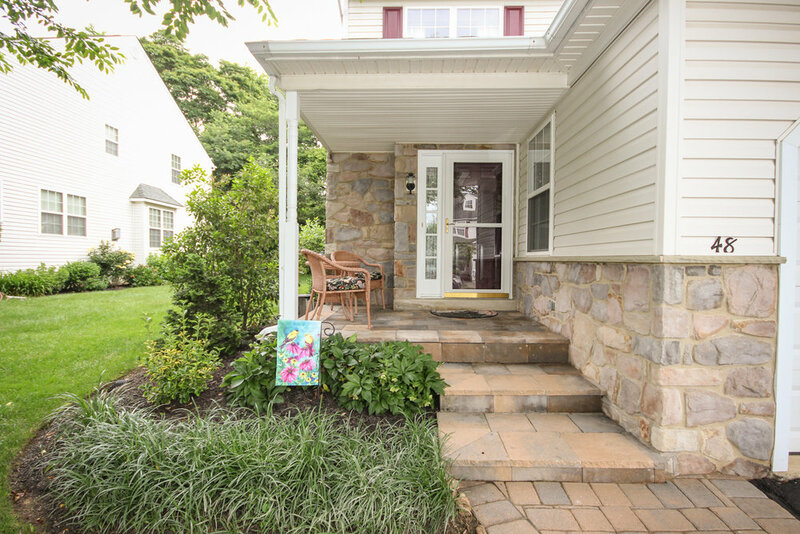 Great location close to Delaware County Technical HS, Neumann University, Linvilla Orchards and local parks. 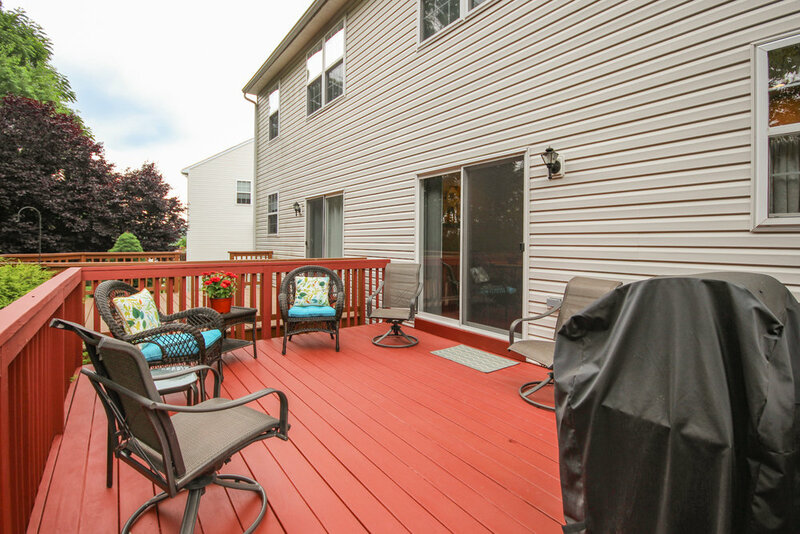 Minutes to Rt 1 and 322, allowing for easy access to the cities of West Chester, Philadelphia and even Delaware. Penn Delco School district. The information provided by this website is for the personal, non-commercial use of consumers and may not be used for any purpose other than to identify prospective properties consumers may be interested in purchasing. Some properties which appear for sale on this website may no longer be available because they are under contract, have sold or are no longer being offered for sale. Information deemed reliable but not guaranteed. Equal Housing Opportunity. Equal Opportunity Employer.